I have to assume that Blood Rage doesn't have a particularly large fan base. Shot in 1983 but not released until 1987, it arrived a few years after the '80s slasher boom had cooled off. And this is definitely a movie that was made in the mold of a typical '80s slasher. 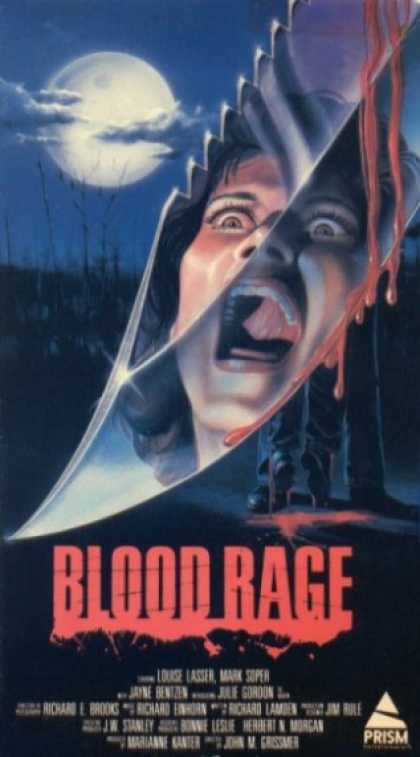 I'd be curious to know how many people actually saw Blood Rage during its brief theatrical run or during its life on VHS. As of this review, Blood Rage has only 870 user ratings on IMDB, while movies like Sleepaway Camp, The Burning and My Bloody Valentine each have over 10,000. Still, it warms my heart that there are people and companies out there that continue to find, restore and re-release movies like Blood Rage. Even though I may never watch it again and I don't necessarily recommend that anyone else go out of their way to see it either.